Writers Block is a condition that commonly afflicts most writers at some point(s) in their lives/careers. Writers include (but are not necessarily limited to: established "working," budding and aspiring ... professional authors, journalists,essayists, poets, organizational communications specialists, organizational line/staff managers with communications skills needs, entrepreneurs who write proposals, and others. Dr. Sobel is ... himself ... a published author, journalist, poet as well as (former) organizational communications specialist, corporate line/staff manager with communications skills responsibilities, and an entrepreneur who has written countless proposals. Moreover, he has written (actually, "ghostwritten" important speeches andletters for senior corporate officers. 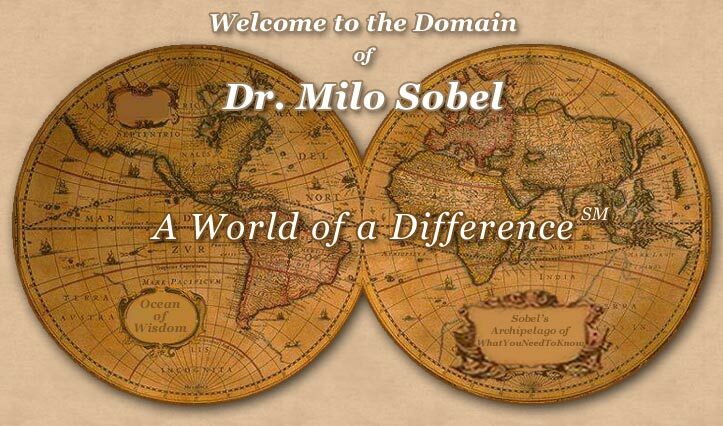 How does Dr. Sobel help you to overcome the impasse that many a writer faces ... at one time or another? Of course, he draws upon his own experience. (Keep in mind: He has been there, too.) So, he drew upon his classical training as an educator (doctorate from Columbia University) and developed a "system" ("The Sobel Method(TM)"), replete with protocols and contingencies. You might noteven imagine this, but Dr. Sobel also addresses aspects of the writer's life and work that one might... quite incorrectly ... regard as unrelated and irrelevant. How does "The Sobel Method(TM)" actually work? 2) Having evaluated this/these, Dr. Sobel arrives at a preliminary "diagnosis" and plots a tentative "game plan;"
3) He assigns "exercises." The writer typically regards these as thought provoking, eye-opening, and ... often ... entertaining. 4) This process continues. Dr. Sobel gently probes with questions and offers suggestions. Questions are generally unthreatening and are not truly invasive or too personal. 5) After each exchange, Dr. Sobel will ask "How are you doing?" "Do you feel/see an improvement?" "How so?" Although I am a devoted writing coach/consultant who genuinely cares about his clients, I am also in ... business. Helping writers is extremely gratifying, yet I also enjoy ... earning money. These two goals are not mutually exclusive. 3) It is important... to the writer seeking guidance ... that (s)he pays for services, because this is a key indicator of "seriousness of purpose;" that this writer really WANTS to be helped. I work myself out of a job. (However, I always appreciate it when one of these clients ... from whom I either joyfully ... "resign" ... or am joyfully "fired" ... strongly recommends me to fellow writers in need. It is my hope that you don't need writer support services, but if you do, I'm your man. © 2002-2015 by Milo Sobel. All rights reserved.